2019 is the year I set out on a mission to discover what it takes to make a restaurant a success. As part of this ‘London Odyssey Project,’ I’ll be visiting and reviewing 26 of London’s top restaurants over the course of 52 weeks. 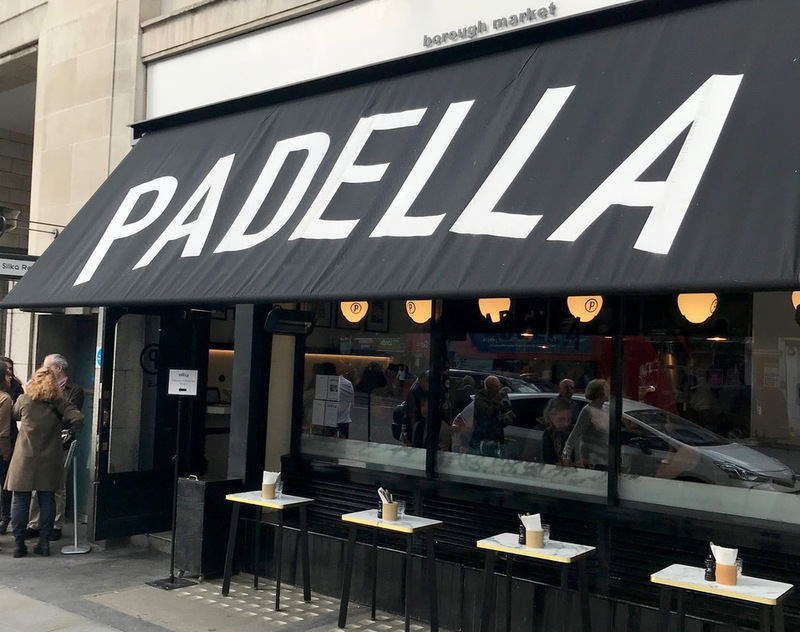 And what better way to start my gastronomic journey than with Padella, a no-nonsense pasta bar in the very heart of the capital’s food quarter, Borough Market! 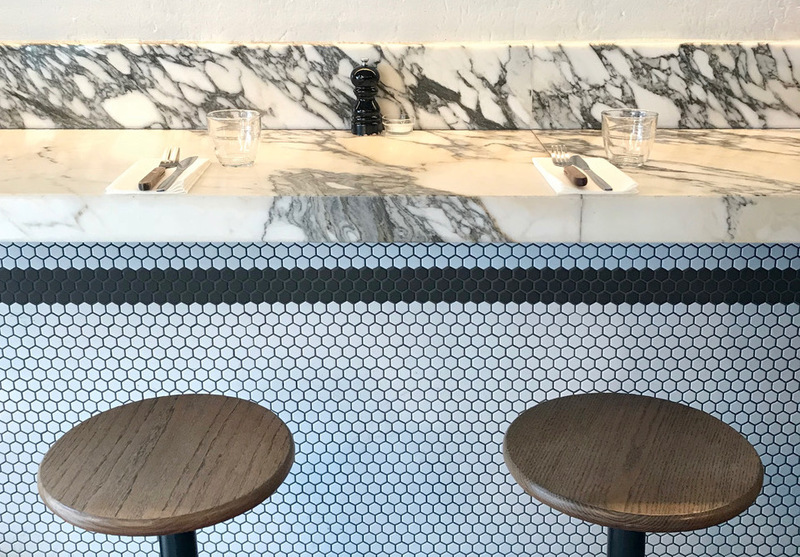 Opened in 2016, it is the second establishment brought to us by the talented duo Tim Siadatan and Jordan Frieda. To make sure my review and assessment of Padella are objective and comparable to the others I’ll be visiting, I’m using a personally-developed experience map. 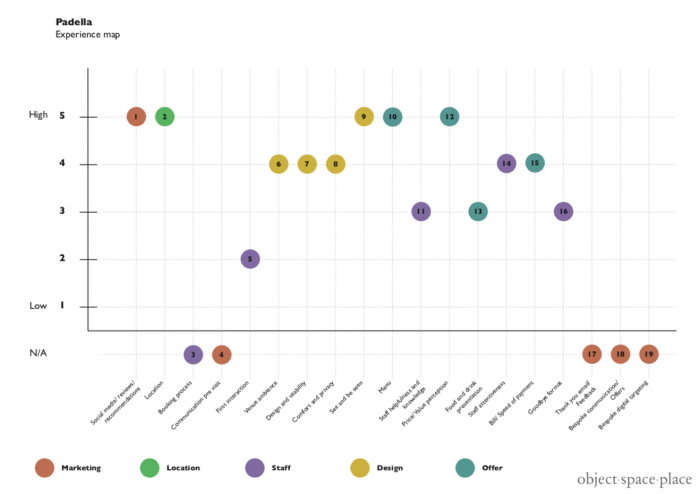 It measures each restaurant offering based on a set of 19 elements, organised into five categories, and is based on a customer journey outlined by Kamila Laura Sitwell in her new book Bespoke. 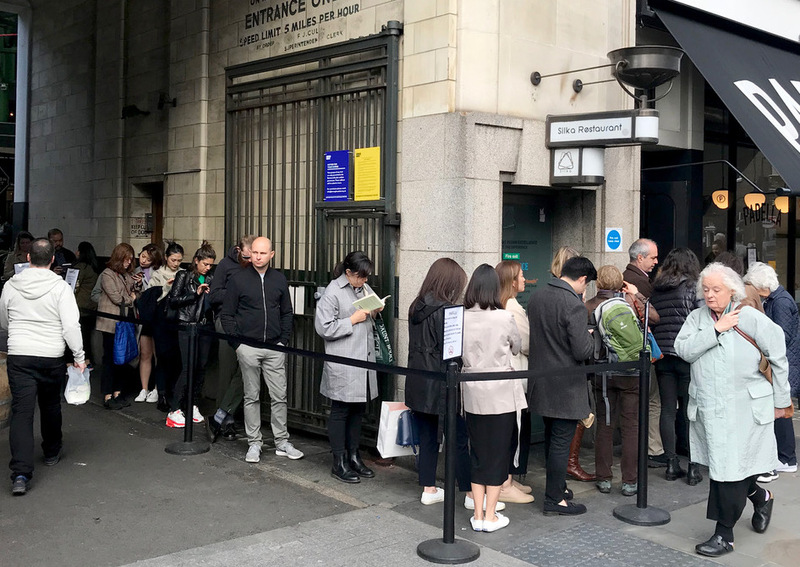 The first thing you need to know about Padella is that they don’t accept bookings and there is always a queue. I’ve tried to go a few times in the past, but each was unsuccessful. In the end, I had to get here half an hour early to get a seat for 12 pm. And it’s no different in the evening. Once every table over its two floors is full, they operate a waiting list. They ask you to leave your details and text you once your table is ready. There’s obviously some magic here that makes people want to wait in line, but what is it? Well, for one, the menu is stripped back and authentic. 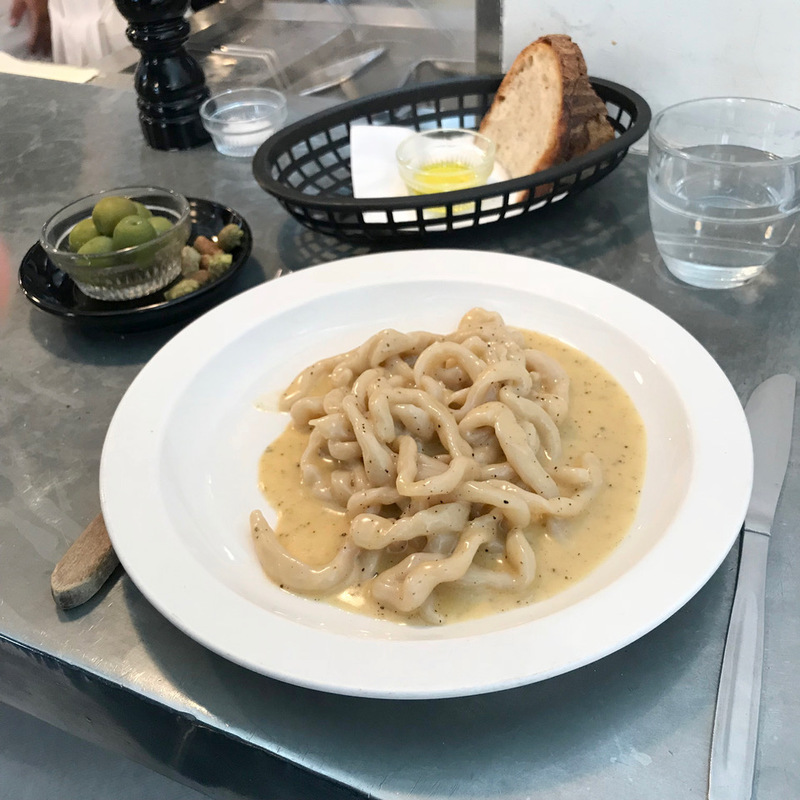 Consisting of five Antipasti (including the Sourdough bread which is a favourite amongst regulars) and nine main pasta dishes, it’s a no-frills offering. But this doesn’t matter as all the dishes are excellently made and served quickly. Plus, they’re all very reasonably priced. The most expensive Antipasti on the menu is priced at £5.50 while the main pasta dishes will cost you between £4 and £11.50. So, of course, I had to give them the highest marks for the menu and the price/value offering. The service is friendly but to the point. After all, they have a queue of people outside to deal with, so this is not a place for long talks or lingering lunches. The combination of this particular location and the extra-large signage on the awning outside do a great job bringing awareness to such a high volume of passing traffic. This also helps make the place very visible from far away. Because the other design elements are restrained (there is almost no other signage, the colour palette is monochrome and they have invested in some premium finishes like Arabescato marble), it comes across as confident and considered rather than a bit shouty. This sits well with the city workers, tourists, and locals who choose to eat here. The combination of simplicity, confidence, authenticity is clearly a winning formula. 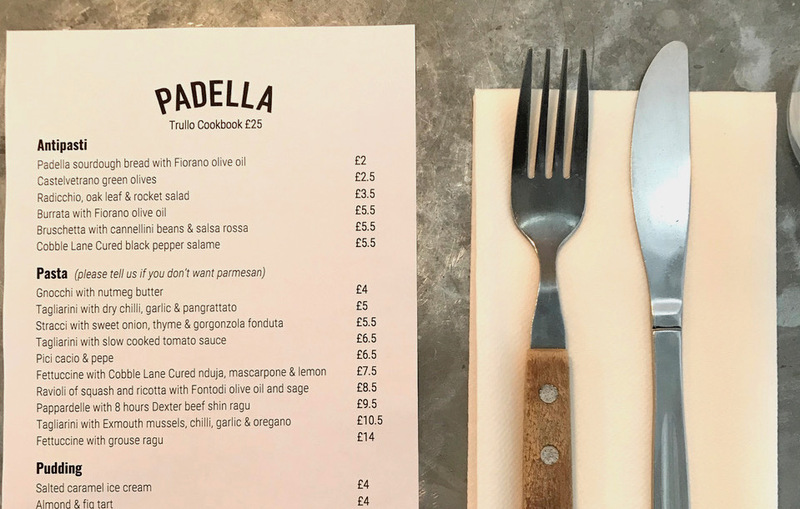 Looking at my experience map for Padella, it really feels like their success comes from a combination of getting a few key elements completely right: the fresh ingredients, the simple but delicious dishes and the laid-back sophisticated décor; and letting everything else simply be what it needs to be. This also seems to resonate with their approach to the use of ingredients. You could say that it is in their DNA. The only real negative I had was that the initial interaction with staff in the queue was a little sharp. I had a “how many people?” question fired at me as the waitress moved down the queue. Hence my low “first interaction” rating. To summarise, they have managed to combine an excellent location, authentic food, low prices and a bit of cult status (reinforced daily by the queues) to create an experience which is different to what else is on offer in the area.